They were perfect and fit like a glove. 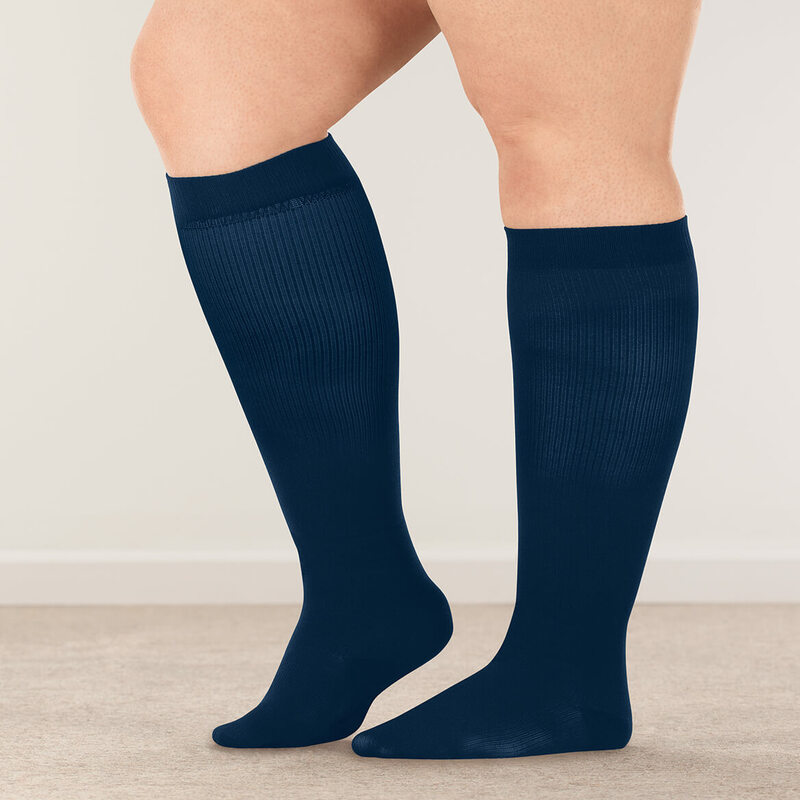 Might be a good alternative or addition to insurance-paid medical socks. 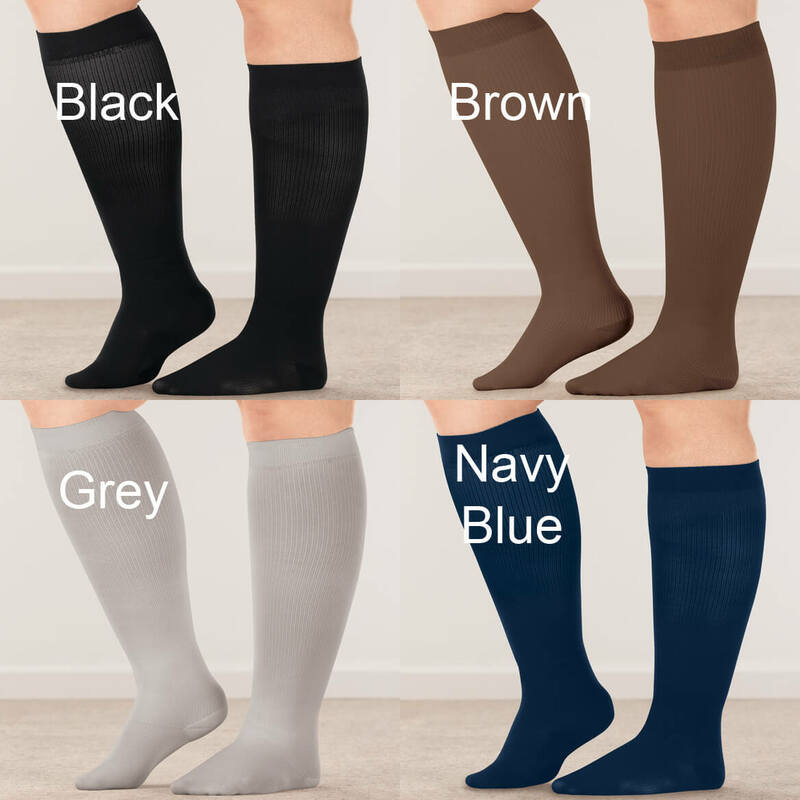 I work on my feet ALL day and I would like the support. 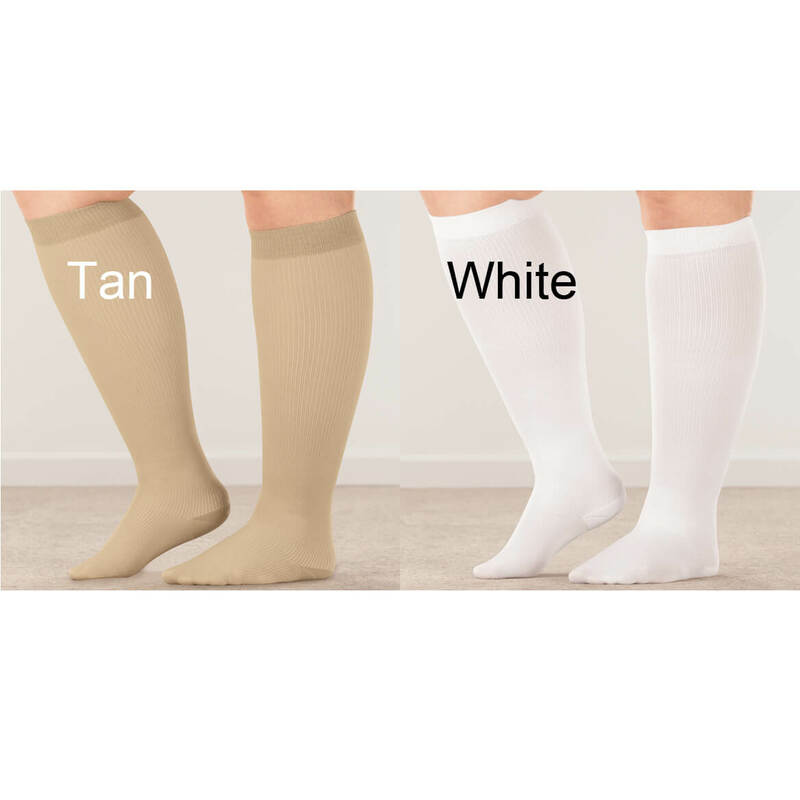 I need them for my legs varicose veins. 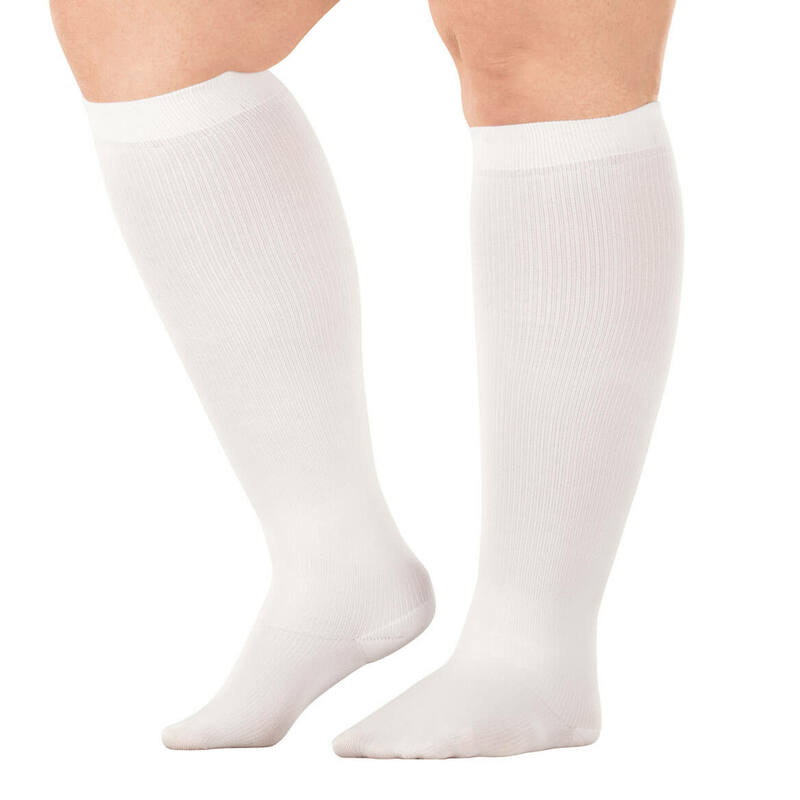 I have wide calfs..Hoping these will not be too tight. I choose this brand because I do have a larger calf and I am hoping they will work for me. Because I have circulation problems with my legs. need details on sizing..says S.M.L.and XL...how do you determine what size to get? BEST ANSWER: Thank you for your question. The small should bit 18"-20" calves, the medium 20"-22" calves, the large 22" -24" calves and the XL 24"-26" calves. We hope this information will be of help to you. I am not sure what size to get. In a regular sock I take a size 8 or 9. which size should I get if I order these? BEST ANSWER: Thank you for your question. 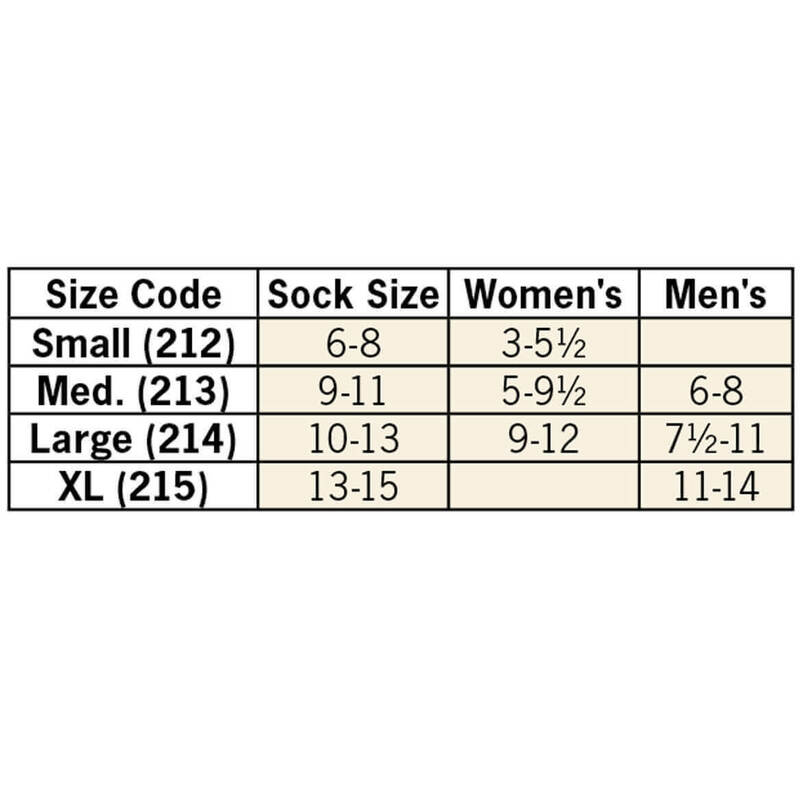 The small will fit women's 3-5 1/2, the medium will fit women's 5-9 1/2 men's 6-8, the large will fit women's 9-1 men's 7 1/2 - 11 and the extra large will fit men's 11-14. We hope this information will be of help to you.